The season of thanks is upon us once again and we have so much to be thankful for this year. Along the journey, we have learned to be thankful for everyday and grateful for all of the little moments throughout the year. As we reflect upon the last year, one thing stands out most; progress. We are so thankful for progress. Braxton has accomplished so much in a year and what once was very slow progress, is now exploding in so many ways. This time last year, Braxton took his first unassisted steps and at most walked about 10 steps on his own. He was eating 2-4 ounces per day. He had no words and minimal sounds. Though progress was slow, there was, in fact, progress. Braxton can now walk unassisted, albeit a bit wobbly, an entire city block. He’s on his feet more than he crawls around. He eats nearly 16 ounces every meal and you’d never guess there was ever a time he couldn’t or didn’t want to eat. He still has no words, but he is so much more vocal these days. 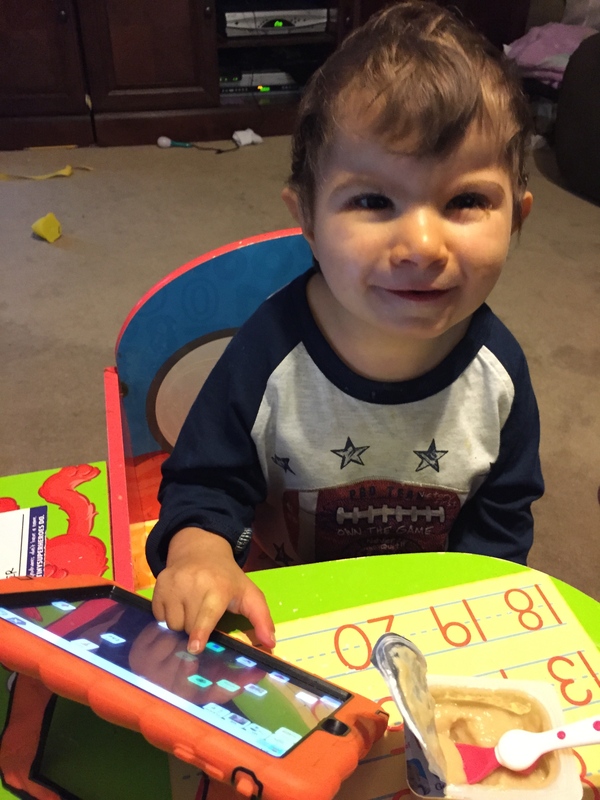 Thanks to technology, he now has a voice through the Augmentative and Alternative Communication (AAC) app, Speak For Yourself on the iPad. He’s learning everyday how to use the app to communicate with us. Braxton pointing and telling me he wants to eat on SFY. His dexterity, focus, and fine motor skills are still slow to come, but he is so much farther along this year. These are huge accomplishments for Braxton, but there are also so many little things we are thankful for this year. We’re thankful for the coos and babbles that wake us before the sun, because it means we’ve been granted another day. We’re thankful for the extra minutes of rest we can steal when Braxton will snuggle in bed with us. 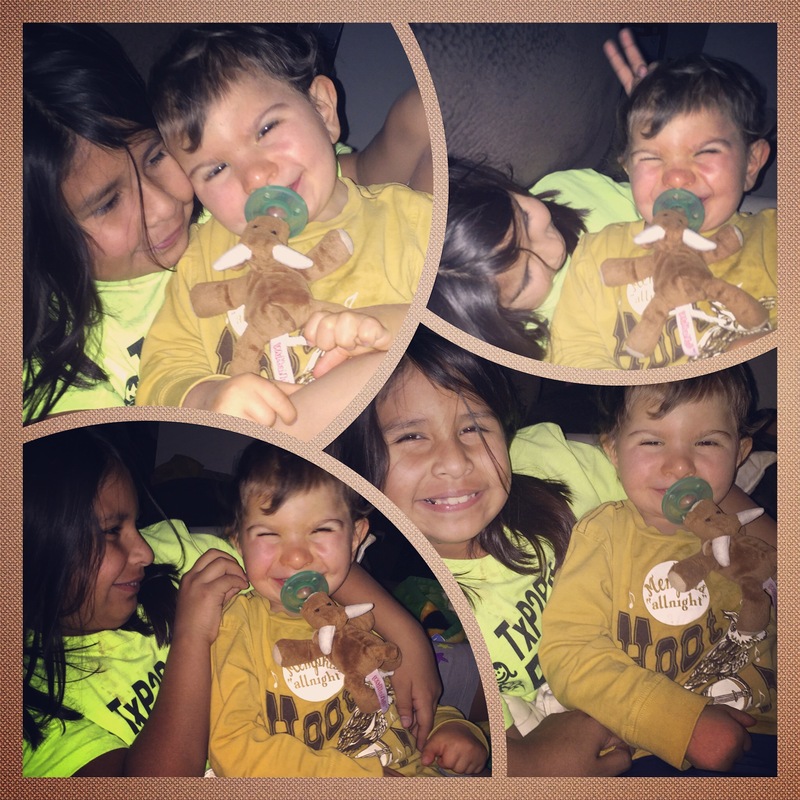 We’re thankful for the sweet way Braxton pulls you close for a hug and rests his head on your shoulder. We’re thankful for the way Braxton pulls our arm back around him when the hug wasn’t quite long enough. 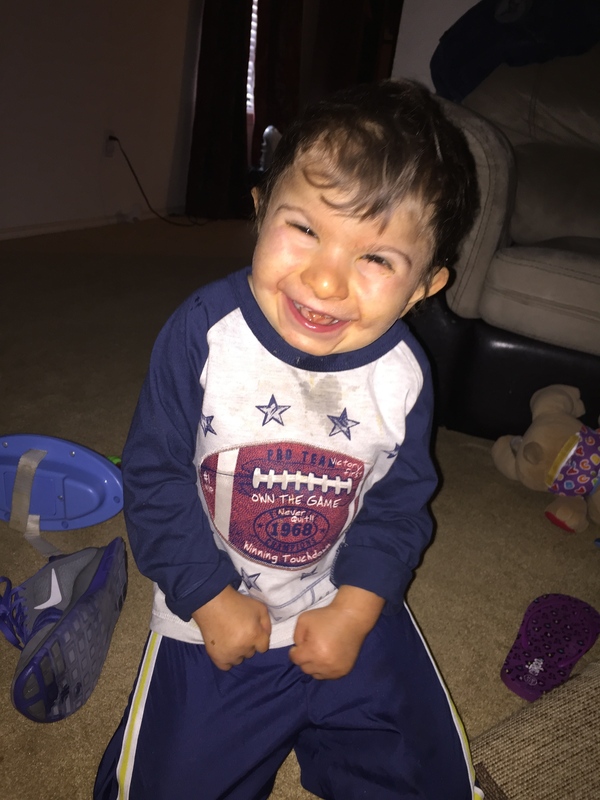 We’re thankful for the look Braxton gives when he recognizes you and the way his eyes light up and his beautiful smile crosses his face. We’re thankful for the way his whole body tenses up and he shakes with excitement, or kicks his little legs. We’re thankful for the incredible sibling bond he shares with his amazing big sister. A sibling love that cannot be broken. 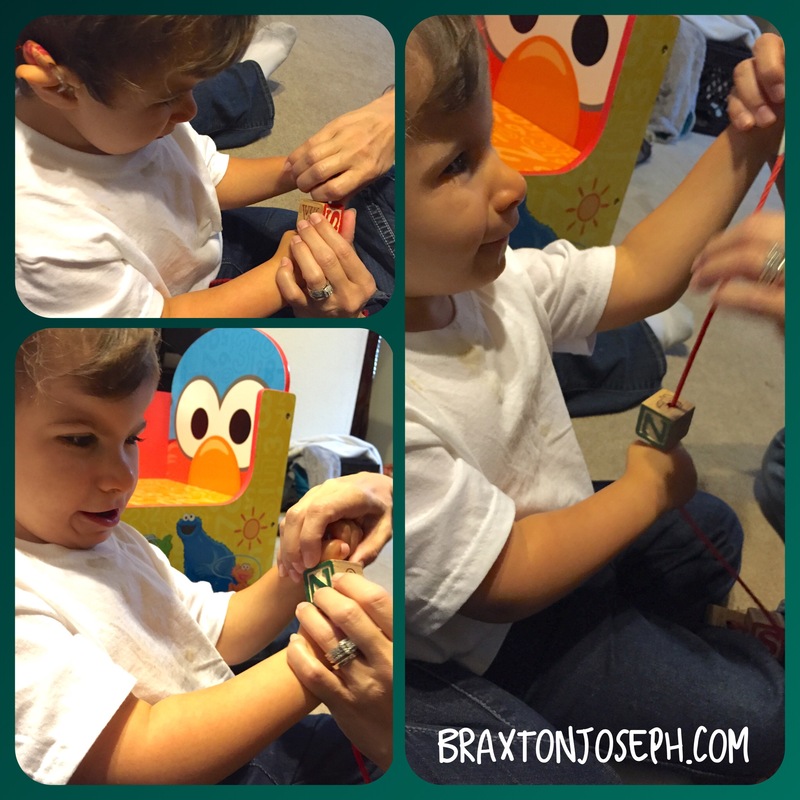 We’re thankful for the messes Braxton makes, because it means he’s mobile and independent. We’re thankful for the countless hours of therapy that have helped Braxton along the way. We’re thankful that we are down to seeing our specialists once a year. We’re thankful for Braxton’s good health as of late. We’re thankful for the sweet moments in parenting that melt away bad days and tell us we must be doing an alright job. We’re thankful for therapists who have been in our home since Braxton was 8 weeks old. Their tireless work with Braxton goes far beyond therapy. They love and care for our sweet boy and share in our pride when Braxton reaches a goal. 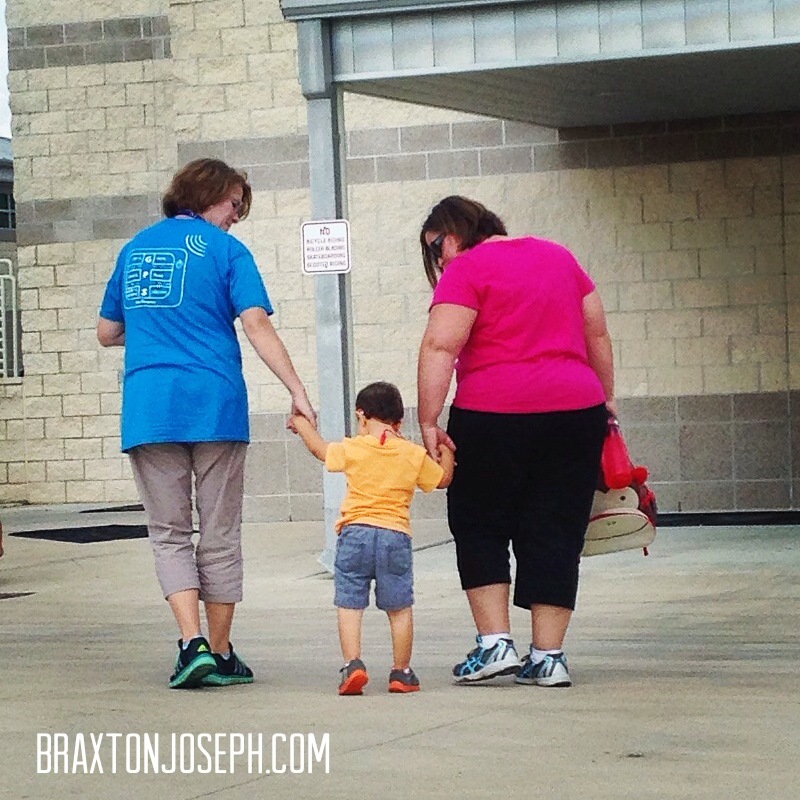 Braxton is not just a patient or a paycheck to them. We have been extremely blessed. We’re thankful for wonderful teachers who have joined our team this year and have already fallen in love with Braxton. They have such a love for all of their students and we’ve seen such progress since Braxton started with them in August. 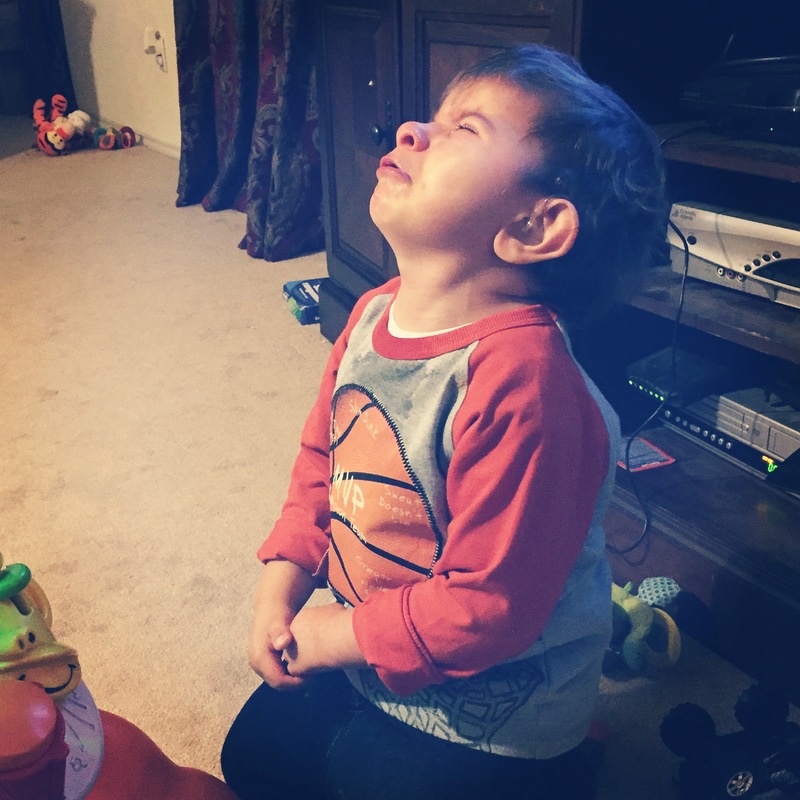 We’re thankful for the tantrums Braxton throws when he gets told “no” or has a toy taken away, because it shows he has the cognitive ability to understand and a way to communicate when something is unpleasant. It’s also a “normal” toddler reaction, so it’s a nice reminder that not everything in our life is atypical. We’re thankful for the times Braxton gets himself in trouble by opening the oven door, swinging the lid on the trashcan, opening the cabinets and banging pots and pans, or unraveling an entire roll of toilet paper, because do you know what cognitive and motor skills it takes to do any of these things!? Although it can be frustrating and we get upset with Braxton, inside we are elated because this shows so much progress! We are thankful for the sweet laughter that fills our home daily. We’re thankful for family that loves and supports us in so many ways. We’re thankful for friends who care and share in our joys. We’re thankful for people who read our blog and share our Facebook posts and have fallen in love with a little boy they have never met. We are thankful every day for so very much in our lives. We remain positive in our journey because positivity has so much more power and love than focusing on the negative. We have bad days, but they don’t last long because we allow positivity to permeate every aspect of our life. We wish the same for you. Look for opportunities to be thankful. Live every day with gratitude and positivity. Let your thanks extend beyond today and this season. From our family to yours, we wish you a very Happy Thanksgiving.